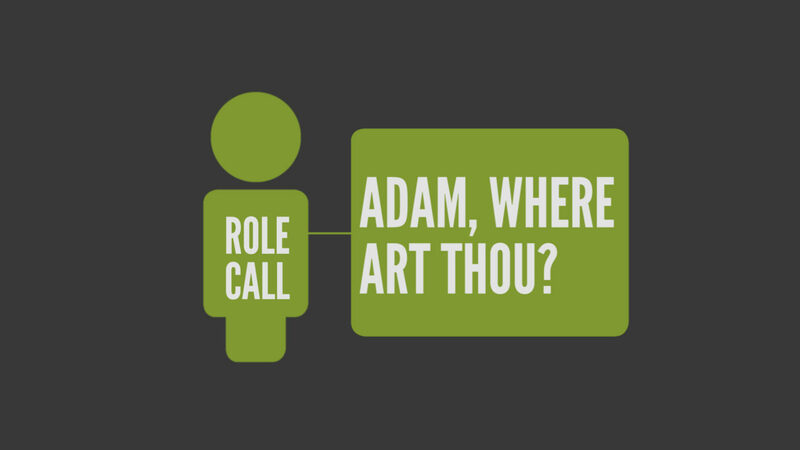 Role Call, Part 1: Adam, Where Art Thou? In Scripture, God lays out clear, distinct roles for both men and women in regard to family, church and society. Yet, perhaps more than any other time in history, these roles have become clouded, distorted and abused. This series will take a biblical look at this very sensitive issue and how we are to respond to God’s wisdom in gender roles. This first message deals with the man’s call from God to headship, initiation and servant-leadership. Read Genesis 2:21 – 3:9. What do these verses tell you about the nature of man? What do they tell you about God? Why does God ask Adam, “Where are you?” (Genesis 3:9). Read Genesis 3:10-12. What does Adam’s response tell you about our nature? Can you relate to Adam’s response? What is your understanding of biblical manhood? What are the roles of men in regards to church, family & society? What is the cultural or societal perception of manhood? How are these views at odds with the biblical view? It what ways have men abdicated headship or leadership? In what ways have men taken headship beyond the bounds of the biblical model? What examples from Scripture can you think of where Christ modeled biblical manhood? How is the Gospel of Jesus Christ the solution to men who struggle with their God-given role?